Roger and Aaron at Lensrentals.com have continued their series of taking apart new cameras and lenses, this time doing a teardown of the brand new Canon EOS R.
You can rent or buy the Canon EOS R now. Perhaps space for structure that can conduct heat to the magnesium frame so that is can be dissipated into the external environment. Ultimately, that is where the generated heat has to go. Liked the last para: "Tomorrow (tomorrow being a couple of years) I will absolutely be shooting a mirrorless camera, but I have no idea yet which one. Of course, those of you who know me very well know I won’t be able to stand it, and I’ll ignore my own advice and get one of these in a month or two; and almost certainly decide it was the wrong one a month or two after that"
If there is going to be a 50mp DPAF sensor, more power will be needed, and be it dual Digics or a higher powered Digic, it will need to dissipate more heat. Batteries also generate their own heat too. If you charge it in camera, it will warm up the entire camera, by itself, its not significant at room temperatures, but when its 100+ degrees outdoors, all those heat sources become significant. Canon has been traditionally very conservative, and does not push components to their ultimate capacity which is why we see relatively few overheat issues, but they do happen. c) allow it to hold a JUUL or other cool person e-cigarette. Possibly another model but tailored towards video - full 4K 60 fps, the Eos R looks excellent and those EOS R lenses look excellent. "Sometimes a cigar is just a cigar"
If I'm not mistaken, in the past, Canon has used a small amount of magnesium alloy in mid-level cameras, namely in the support skeleton, not the entire shell. Canon UK specs: "Magnesium Alloy body and polycarbonate with glass fibre parts." From Canon Canada: "Comfortable and solid in the hand, the EOS R camerafeatures a rigid yet lightweight magnesium alloy chassis that enhances body durability while shielding the camera from electromagnetic radiation and heat. It also has a tempered front panel for internal rigidity." "Chassis: the supporting frame of a structure (as an automobile or television)"
I don't think Roger is confusing plastic with metal. Somewhere in the plastic shell are magnesium alloy ribs or beams that add strength. That would be enough for the marketing department to make hay. While I agree with your assessment of Roger's abilities, I'm afraid that I would call foul on Canon. 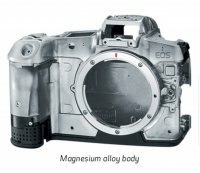 If you click on the link I provided, at the bottom of the page is the photo I attached and right beside it in bold letters is captioned "Magnesium Alloy Body". Below that heading is the statement I quoted. Canon's caption/statement/photos are at best insincere and misleading. It looks like the body is a combination of both magnesium alloy and over-moulded glass-filled polycarbonate. 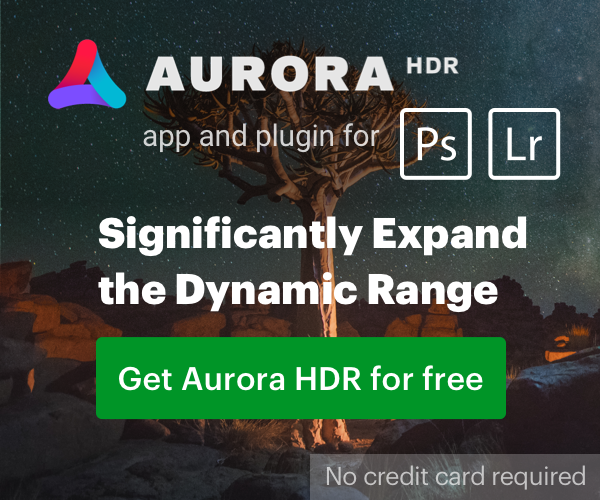 If you look closely at the alloy photo, just under the EOS logo there are two steps (it is the same around the body, but this is a good reference point without creating images). In the stripdown photo from Roger, it looks like the beige material fills the lower step (this is glass filled polycarbonate). In other words, they may have over-mould the polycarbonate over the alloy body. This will provide strength and impact resistance but with minimal additional weight the same wall thickness in the alloy would have. Roger also noted the polycarbonate had a "slightly rough surface" - that's the glass fibre. Therefore, both Canon and Roger are correct. I'd be very surprised if Canon replaced the front plate entirely. It is magnesium alloy, as they say, but it's got quite a different feel to it. How do you know? Did you do a tear-down too? Work for Canon? The rest of us are speculating. Rodger did a fantastic tear-down. I think we can move on from what the shell is made of at this point, unless someone has definite Insider knowledge, or has cut a cross section of the shell for us.